Joe and his family have owned their family property in the Southern NSW since 1903. 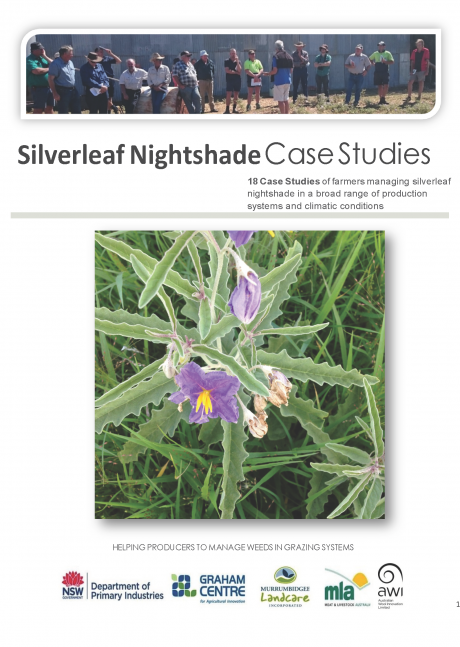 Controlling silverleaf nightshade is an ongoing part of the summer season's farm management. Read more by clicking on the link below. 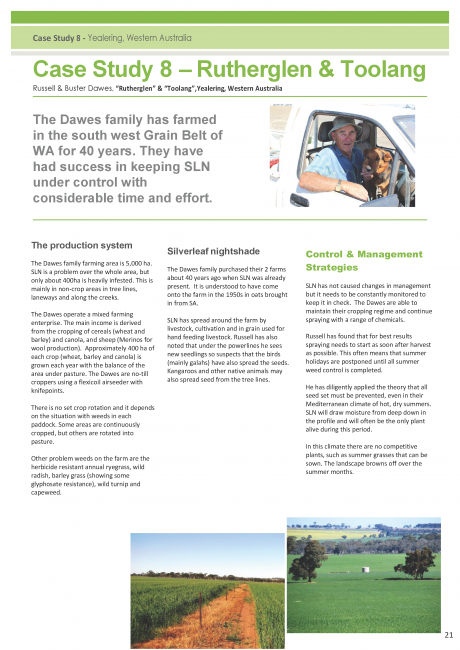 The Dawes family operate a 5,000ha mixed farmily enterprise in the SW grain belt of WA. Russell has some basic guidelines to keep in SLN in check. 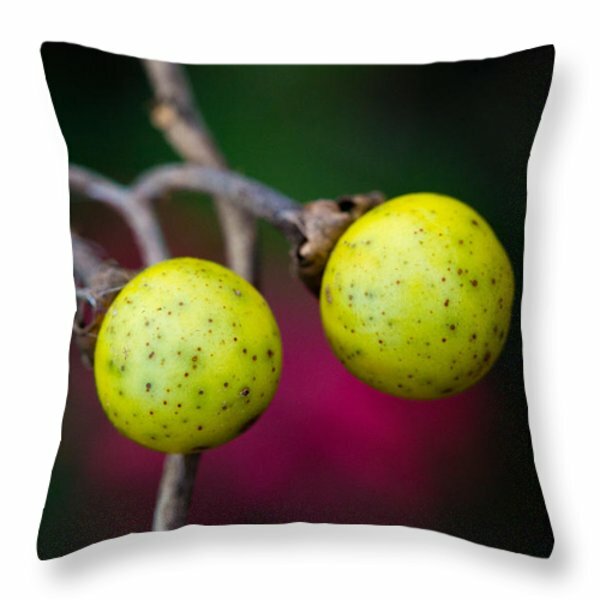 To read about these, open the attached file. The Strongs are based in the Birrego district near Narrandera on the family farm that has been operating for over 100 years. Read out their key messages and advice for managing SLN. To view, open the attached file. 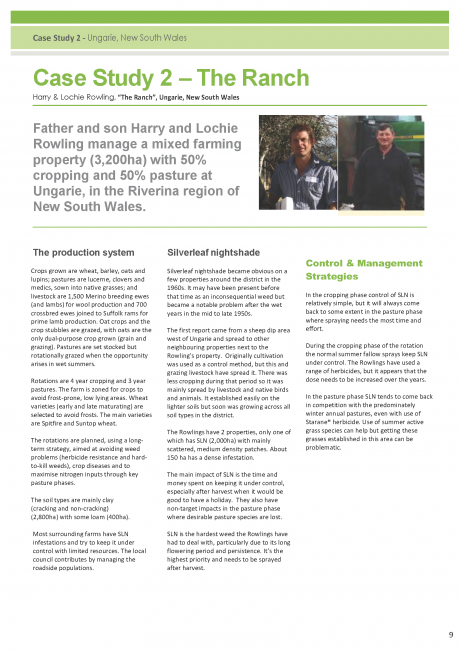 Find out how the "Dual Action" best management appraoch has proven to be beneficial for controlling silverleaf nightshade on the Rowling's farm in the Riverina region of NSW. To view, open the attached file. 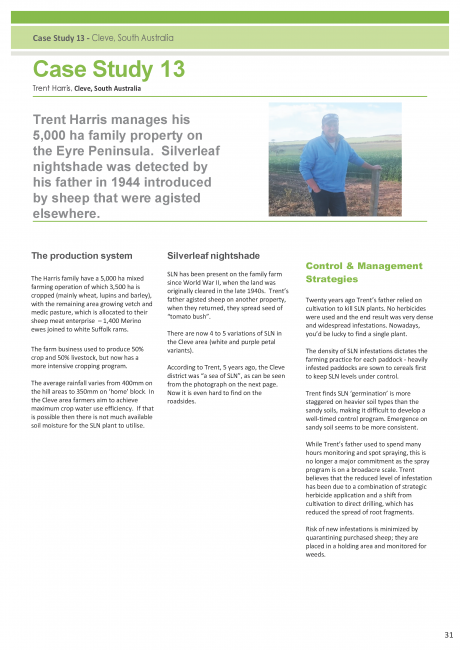 Learn how Trent manages silverleaf nightshade on his family property on the Eyre Penninsula. To view, open the attached file. 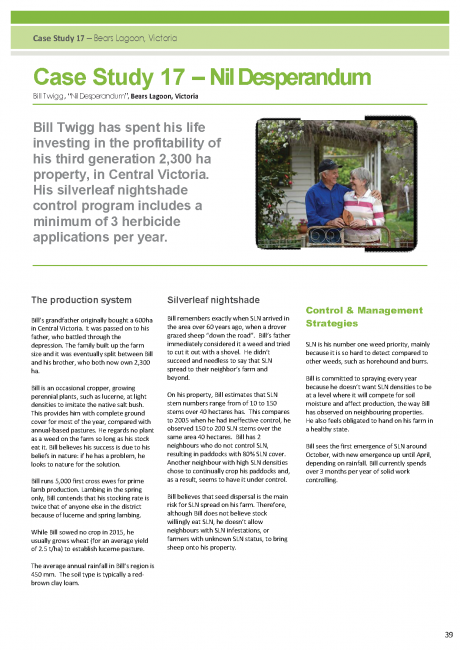 Read all about Bill's exeriences with Silverleaf Nightshade on him farm, near Bendigo in Central Victoria. To view, open the attached file. 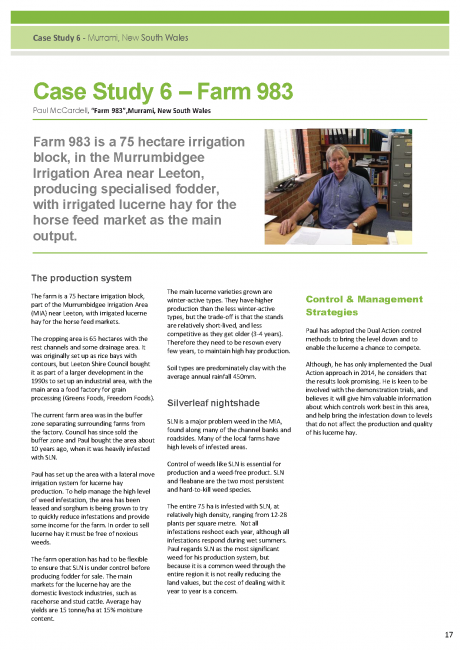 Beginning next week, we will post individual case studies containing key messages and information on how each farmer successfully manages silverleaf nightshade specific to their production system. Stay tuned!